This R/S cable was designed for the Red DSMC2 to allow you to record start/stop your camera. 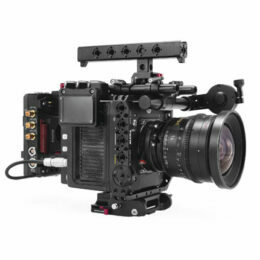 Simply connect the 7-pin end of the cable to one of the available “Tilta Right Side Wooden Handles with R/S Button” and the 4-pin end of the cable to the SYNC port of your Red DSMC2 camera for operation. ** Only for use with the Tilta Right Side Wooden Handles with R/S Button. It will not function on the Nucleus-M. Note that the Red DSMC2 cameras require that a battery be inserted into the wooden handles and that the power switch on the handles is turned “on”.